Do you have a need for speed? This fun, indoor team building activity can be an exciting afternoon for your office, or just as a fresh, action-packed, group activity. 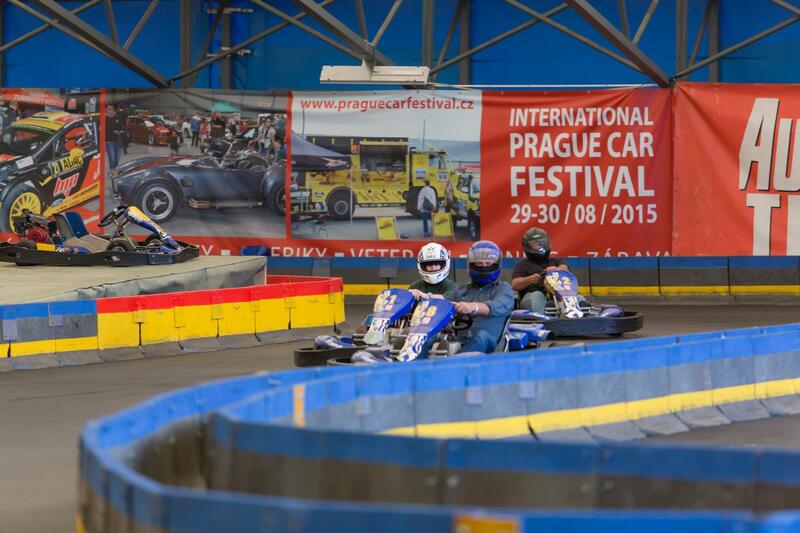 Prague has several indoor Go Kart arenas close to the city centre, and racing is possible all year round. The largest Go Kart arena in Prague covers an area of 17,000 m2, and the racetrack is approximately 700 metres long with a changing layout every two months. 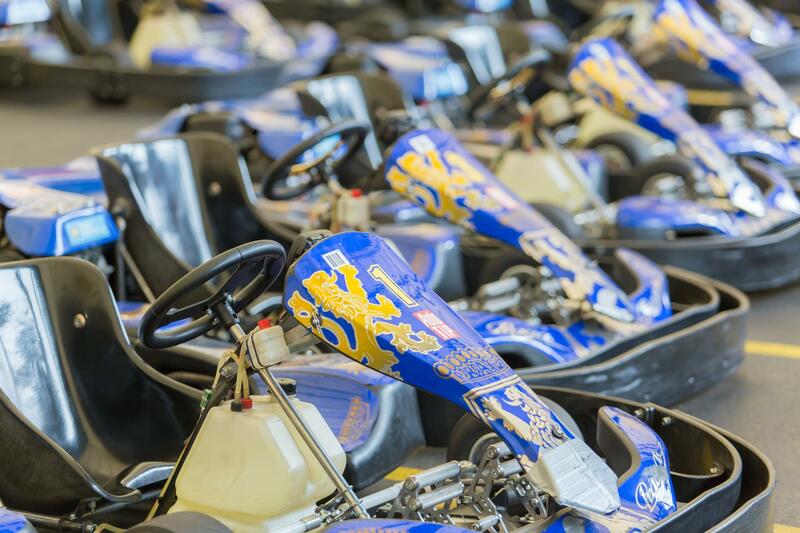 Up to 14 guests can enjoy Go Kart racing at once. 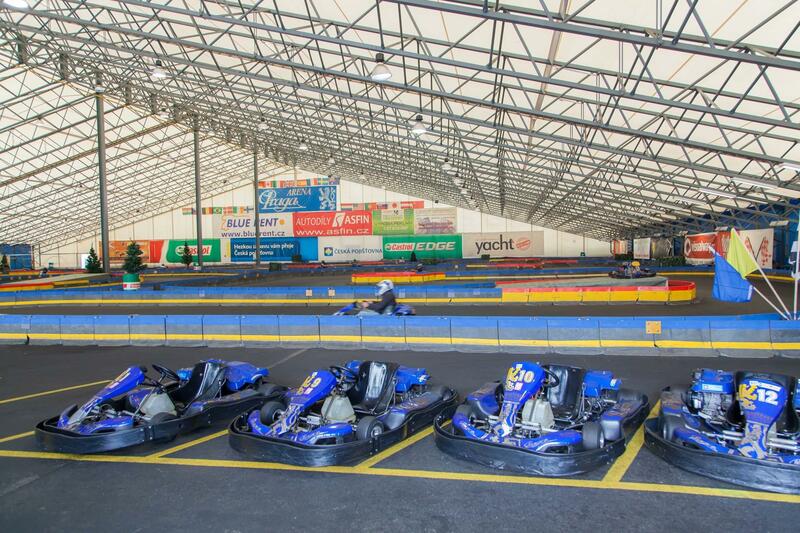 The goal of Go Kart racing is to clock the fastest time: the driver with fastest lap wins! All scores are checked electronically and displayed on a large screen to help you cheer on your favourite driver. This team building activity is suitable for both small and large groups, ranging from five to 100 guests. Anybody can enjoy driving Go Karts… even those without driver’s license! The race is an exciting adrenaline rush to both drivers and spectators alike. We suggest letting us arrange for a professional Go Kart moderator, who will welcome guests up arrival and explain the rules of the race. The moderator will lead the races, ensure the comfort and safety of participants, and pump up the spectators. The activity will conclude with a small awards’ ceremony, complete with an Olympic-style podium photo-op. 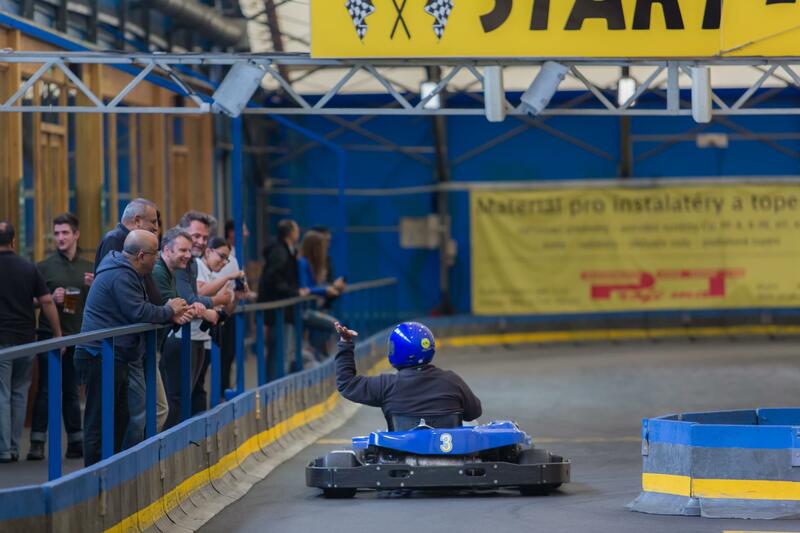 Each Prague Go Kart racing arena includes a modern restaurant to serve as a home-base for guests. Drinks and small snacks are available here à la carte during the race, but we would also be happy to arrange a food and beverage package for you.